The Canadian Battlefields Foundation has created a bursary fund so that young men and women from Canada can visit and learn, on the actual battlefields, what the youth of Canada contributed to their freedom. These sacrifices gave Canada international stature and influence and made Canada a significant force for peace in the world. The bursary fund, a truly living memorial, has allowed the Foundation, beginning in 1995, to partially finance 12 university students, each year, from across Canada to study in Europe. The participants experience first hand how deeply grateful the people of Europe remain to Canada generations later. 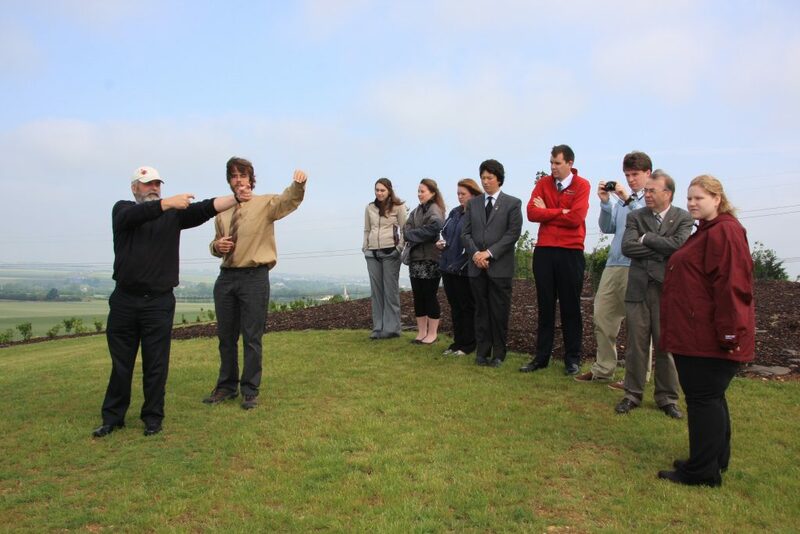 Study tour itineraries vary each year but usually terminate in Normandy. Please note: Written articles by students while on the Battlefields Tour are written in the language of their choice. As a result, student articles in either language will only be visible in the language indicated by the language selection menu. CBF 2019 Battlefield tour poster and application is OPEN! "No day will erase you from the memory of time"